Kids Clothes - 5 Pcs Only $3.39 Each! You are here: Home / Great Deals / Kids Clothes – 5 Pcs Only $3.39 Each! 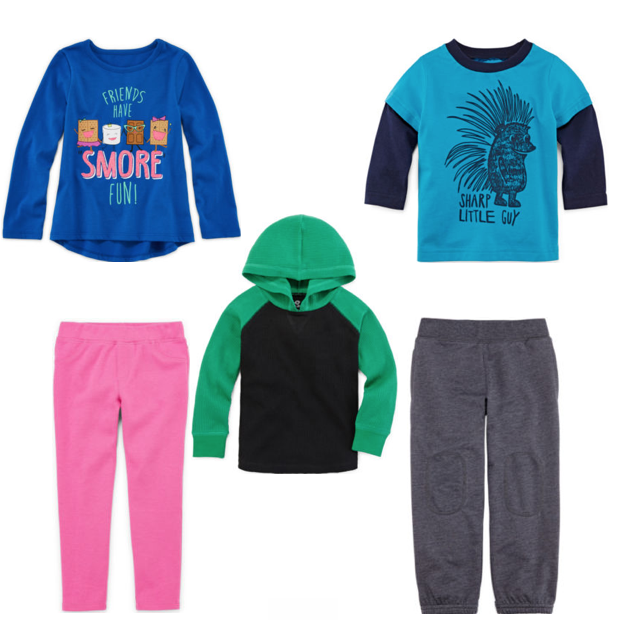 Kids Clothes – 5 Pcs Only $3.39 Each! Head over to JCPenney to get a great deal on sale items! Order these Kids Clothes – 5 Pcs for Only $3.39 Each! Lots of items on sale from baby to kids, teens, women & men. Spend $25 then use promo code BIGSTSAL to get $10 off! These items were originally $12 to $16 each, and on sale for $4.99 to $6.99. With this deal, final price is $3.39 each!